their optimal humidity and moisture levels. It's (nearly) officially summer and while the surf and sand bring seasonal cheer, humidity and summer storms create the perfect conditions for mold to take over homes. For many homeowners, the common area of blight is the basement. Basements are the first level of foundation to be exposed to poor drainage systems and often unfrequented areas, which means mold can grow for quite a while time before homeowners even notice. In order to prevent mold, property owners are advised to invest in a dehumidifier. Basement humidity levels should be below 45%, as mold thrives in moist conditions. To maintain optimal humidity levels, many dehumidifiers now come with automatic shut off features so homeowners only need to set them once. Homeowners who forego an appropriate dehumidifier in their basement run the risk of their belongings taking on moisture. Organic materials such as wood furniture, paper and clothes are particularly susceptible to mold; important documents or family heirlooms can be lost due to improper moisture levels in basements. In fact, most mold remediation companies advise against having too many items in your basement because too much stuff can limit airflow, making moisture removal more difficult. Another key aspect of mold prevention is good drainage around the foundation. There are many mechanisms that create poor drainage: clogged gutters, faulty drain tile, poor insulation around the foundation are just a few. Improper drainage systems can cause water to accumulate in walls and floors, which is where you'll find most mold in homes. Unfortunately, mold in basements can migrate throughout a home. Mold spores can be easily disturbed from just moving boxes or attempting to clean mold without proper containment. Once these mold spores are airborne, they can spread by air-conditioning units blowing spores through the vents. 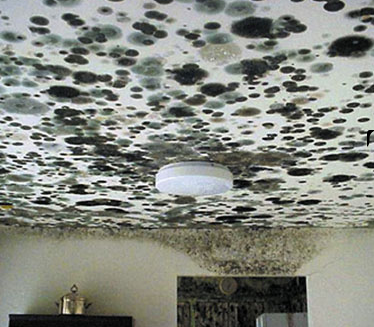 Mold exposure can cause a variety of illnesses ranging from respiratory infections to migraines. This summer, don't let mold ruin your basement or your vacation. Follow these simple tips to prevent mold contamination from happening to you. To learn more about attaining a mold certification, visit Zack Academy's website.